‘Field Punishment No.1′ is the hard hitting new drama about the New Zealanders who refused to be conscripted during World War 1. It’s the Anzac tale you have never been told. This year, with the Anzac Day 100th anniversary, there is another story for New Zealanders to remember; that of the hundreds of the Kiwis who refused to be conscripted to fight in World War 1 – a war they believed that ‘set brother against brother’. Field Punishment No.1 is a powerful historical drama telling a remarkable, true story of New Zealand’s first conscientious objectors who, by refusing to conscript, endured incarceration, torture and even death. 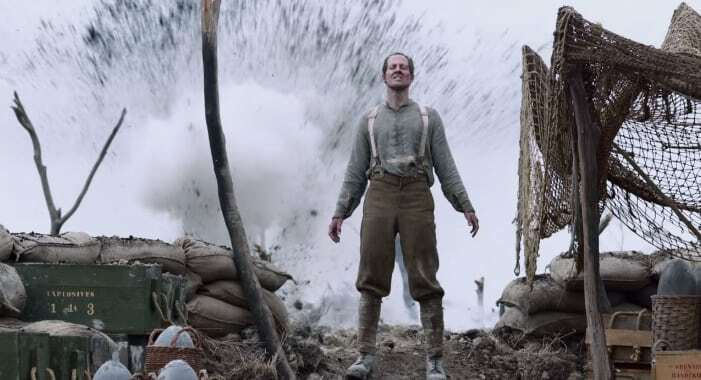 The film hits a hard spot, and follows the experiences of fourteen men including the country’s most famous conscientious objector Archibald Baxter (Fraser Brown – Harry, The Pretender) father of the celebrated poet, James K. Baxter. These men refused the renounce their passive resistance and were subsequently arrested and shipped off to Europe where they spent years enduring the hardships of prisons, punishment camps and asylums for the insane, after which they were sent to the front line of battle. Many of them never returned. The men were stigmatised and tortured in an attempt to break their spirit. But they confronted the cruelty with integrity, courage and compassion, and that is why today their story is being told. Oydessy will release the film on DVD in the UK on 20 April 2015 to coincide with Australia’s and New Zealand’s great day of national remembrance, Anzac Day (25 April). This year’s commemorations mark the centenary of the Gallipoli campaign that inspired Anzac Day and cost thousands of Australian and New Zealand lives. Field Punishment No.1 is directed by Peter Burger (Waitangi, When We Go to War) and was written by the award-winning team of Donna Malane and Paula Boock (Time Trackers, Until Proven Innocent). The cast includes Byron Coll (Top of the Lake), Michael Whalley (Legend of the Seeker), Richard Chapman (Black Sheep) and Colin Moy (Spartacus: War of the Damned).